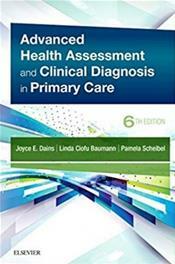 Abstract: Learn to accurately diagnose the majority of patients seen in today.s primary care settings! Advanced Health Assessment and Clinical Diagnosis in Primary Care, 6th Edition goes beyond basic history and physical examination skills to help you learn the diagnostic reasoning process. You will develop this key skill by following assessment guidelines that focus on a specific complaint rather than beginning with a previously established diagnosis or disease entity. Written by advanced practitioners, this edition includes a new chapter on The Transgender Patient that gives you the knowledge you need to properly assess and care for this underserved patient population.